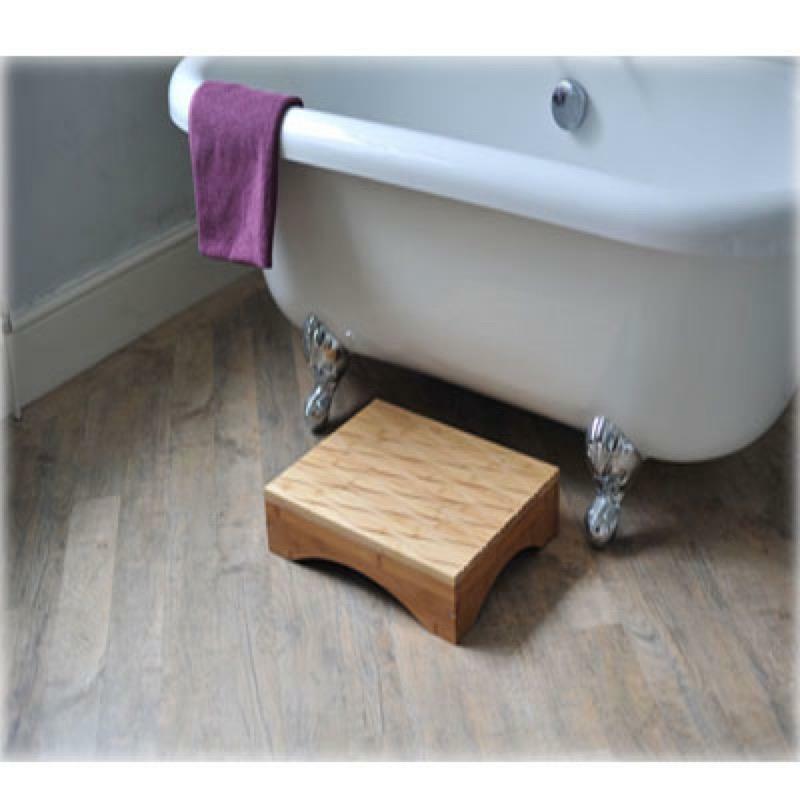 The Bamboo Bath step can be used in the bathroom or the bedroom. The step is an aid to either step up into your bath or bed as it makes the level either outside of your bath or bed closer to the level inside bath/ or mattress and this can reduce over-balancing. The step is made from bamboo wood in a natural colour. The step has an attractive wave design with smooth rounded edges. Also the step features slip resting pads which are underneath the step. The bamboo material used has a natural water resistant quality which makes the step suitable for use in the bathroom.